Podomatic | Podcast - Conspiracy Worldwide Hip Hop Radio - [Part 2] *HALLOWEEN SPECIAL 2010* w/ live guests ILL BILL - JOELL ORTIZ - TWISTA - PUBLIC ENEMY's CHUCK D - SUCIO SMASH - DIABOLIC - GORETEX - AMERICA's MOST WANTED VAMPIRE - GLOBAL EXCLUSIVES and more! [Part 2] *HALLOWEEN SPECIAL 2010* w/ live guests ILL BILL - JOELL ORTIZ - TWISTA - PUBLIC ENEMY's CHUCK D - SUCIO SMASH - DIABOLIC - GORETEX - AMERICA's MOST WANTED VAMPIRE - GLOBAL EXCLUSIVES and more! **TO LISTEN OR DOWNLOAD SEE THE END OF THE SHOW DESCRIPTION! ** Broadcast on location from an extremely active derelict 19th Century factory grounds - on this epic six hour journey into darkness we have: Ill Bill joins us for a feature-length interview to discuss his new project with Vinnie Paz, Heavy Metal Kings coming in 2011. We discuss the aesthetics of the album as well as exploring his relationship with brother Necro in 2010 and his upcoming project with Sean Price, entitled The Pill. In addition to all of this, Ill Bill suggests that there may well be a reunion between underground hip hop icons Non Phixion, including Goretex, for a tour and possible future album work. A must hear for all hip hop fans worldwide. 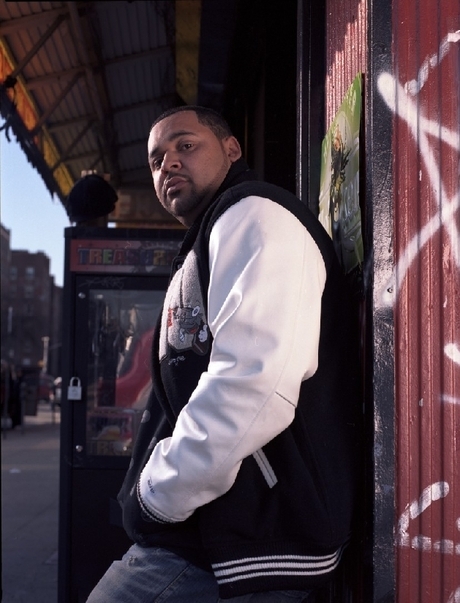 Joell Ortiz is the man of the moment. In this frenetic and entertaining interview, we discuss and dispel the numerous accusations and rumours surrounding his involvement with Slaughterhouse, Joe Budden and their forthcoming signing to Shady Records. As well as divulging information about Eminem's new 2011 album, including a new track he is recording at the moment with Royce and Slaughterhouse, Joell explores the possibilities once his Free Agent album drops and he is a personification of its title. We talk future collaborations including his track on the new Kool G Rap album and his inclusion on Pharoahe Monch's long-awaited project. Twista has had one of the most prolific and long-lasting careers in urban music. With his new album, Perfect Storm, released November 9th and a feature-length documentary being filmed based upon his life by Big Punisher film-maker Vlad Yudin, Twista has a lot to look forward to. In this interview we go deeper than the average and debate the importance of change within society, recognising how the words rappers utter into microphones can do more than simply make heads bop. We talk Obama, Wocka Flocka and more in a concentrated effort on all parties. Chuck D is one of the most active men in hip hop. Fresh from a massively successful Public Enemy US tour, Chuck finds time to join us for a typically intense and thought-evoking discussion about the digital revolution within hip hop, the importance of his forthcoming South Africa tour, the difference between truly great hip hop "artists" and rappers and much more in this inspiring 40 minutes with an icon. Sucio Smash, until two weeks ago, hosted one of the most important, radically uncompromising radio shows in hip hop. So the question remains as to why on earth his show, Squeeze Radio, would be discontinued by the station that had benefited from his presence and his predecessors presence, for over 20 years. We talk to the man himself about the incident, the ethos of good hip hop radio in general, his "big" future plans and much more in a very important interview for Conspiracy Worldwide Radio and hip hop as a whole. Diabolic released one of this year's most awe-inspiring albums so it was a pleasure to talk with him once more about his forthcoming album and his project on Redphone Records with Nightwalker and Reef The Lost Cause, his dissatisfaction at many live show promoters around the globe - PLUS! a live Diabolic spit to kneecap any competition. Goretex has been busy making new music. He has a release coming before the end of the year and is eager to show the world that Goretex (Supercoven)is still a massive force to be the reckoned with and an emcee that will continue to break new boundaries with his words. Keeping with the Halloween theme, Goretex takes us on an informative journey into UFO Disclosure, Scientology, cult leaders and even finds time to share with us some facts about key UFO governmental cover-ups. Are Non Phixion going to regroup? Goretex says he is all ears. AND THAT'S NOT ALL! Steve Leighton has been a real vampire for over 8 years. His website http://vampirewebsite.net claims he is wanted by the US government for his lifestyle choice, so it was our intrigue that brought us to talk with him on this dark Halloween special. What he reveals to us in this feature is so genuinely creepy, it will make you change your mind, your heart and possibly your underpants. PLUS! We have non-web leaked world exclusives from the likes of KRS One,Ras Kass,Joell Ortiz,Goretex and many more ncluding the dope new album from super producer The White Shadow, which now can be purchased here - http://itunes.apple.com/us/album/destiny/id400575925 Enjoy! Contact us at conspiracyworldwide@gmail.com Blackberry Messenger: 22192BE3 Mista Montana - http://www.montanauk.com Menace - http://messengermenace.blogspot.com IMPORTANT - please report any unusual sounds or occurrences that you hear on this live ghost hunt recording to our usual e mail address or text 075 30 30 25 26.